Get your File Checked for free! 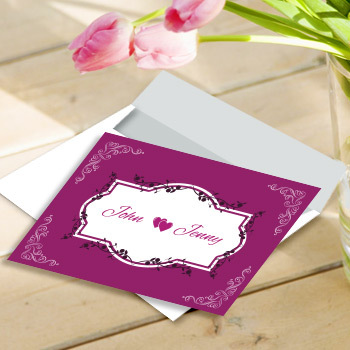 An Invitation Card is a beautiful and warm way to invite your loved ones to any occassion. The invitation cards are the best way of inviting your family and friends to private or official events. We do print all the most important and small invitation cards like Wedding invitation, Anniversary invitation, Birthday party, family get togethers, official get together functions, leisure trips and baby shower invitation cards. Try our event back drop banner printing to save your memories with beautiful background. For our regular customers, we also give discounts on party cards and wedding invitation cards with vast range of pre-designed varity. Please select from the bridal shower invitation cards to reception invitation card in full color with different sizes. We do folded wedding invitation cards printing at low cost. We provide online collection of related cards including: Day and Evening wedding invitations cards, Thank you cards, Business invitation cards,Family function invitation cards for a get together invitaton etc. The front is printed in the 4 color process as in 4/4 printing, but the back remains blank with no color. Uses all four print colors: cyan, magenta, yellow, and black to blend together for a full-color print front and back. 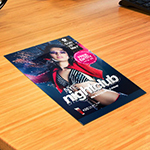 12pt coated card stock mean is 12 points, point measure the card thickness which shows the quality of the stock. Coating is very helpful to ink absorption to make print better. This is a heavy duty stock with "ultimate" shine that features fade-resistant extra UV coating that gives more protection to the card. UV coating is applied as a separate finishing. A heavy duty stock dull coated for an elegant and smooth matte finish. Flat Invitation Card Printing can benefit any business or private function. 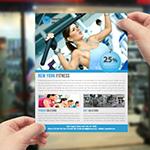 Printing invitation cards is often one of the first steps in event planning. With 4-color offset integrity. We can provide you with stunning high quality flat invitation or greeting cards for any occasion. Flat invitation cards are elegant and professional in appearance. Greeting/invitation card printing is available at incredible prices now - and always - at Printing Xpert, where we personally oversee each aspect of your custom order. Choosing flat invitation cards over other styles comes down to what type of event the invitations are being used for. Flat invitation cards are most often used as formal invitations for engagement parties, weddings, baby showers, banquets, graduation, religious ceremonies, and many other events. Flat invitation cards have the benefit of being simplistic and compact, easily sent out to guests in high quantities. Flat invitation or greeting cards are a great way to reach out to people that matter to you or your business. Flat invitation cards not only inform guests of the date, time and place of your event, they also specify how guests should prepare for the event. Formal invitation cards often indicate that the event requires formal wear; a professional appearance of your invitation card appearance designates the professional appearance of guests. If the design of your flat invitation card is more fun and informal, guests will dress down accordingly. Set up a flat greeting card campaign for your business. Sending out greeting cards during the holidays is essential to reach out to and show your customers or clients that you care. A simple greeting or holiday well-wishes along with your company name is all that is needed. To continue connecting throughout the year, create a campaign that periodically sends flat greeting cards to clients, inviting them to connect with you any time of year. Be sure to plan ahead for your flat card printing projects and order enough cards to last you through your customer-base and mailing for the year. Plus, as the cost per card decreases with added quantity, the more cards you order at a time, the more money you save! To be sure that your cards get noticed in a sea of mail, customize your flat holiday or greetings card design with unique images, uncommon sizes, and special features such as die-cuts. Your card design should reflect your business or personal style and appeal to your audience. Formal event invitations look best when there is minimal to no background image and the design is focused on the typography. In general, it's a good practice to keep your flat invitation card design fairly simple, clutter-free, and classic. Flat invitation cards supply basic yet necessary information, so make sure the text is readable. A professional photo of you or your family for a personal invitation card, maybe your staff or logo if it is for a business, works well for a background image. Or, choose a scenic or artistic image that catches the eye and piques interest. As soon as you’ve picked a date and time for your special day, you should send out your custom flat invitation cards to your guests requesting their RSVP. Consider the appearance of the flat invitation cards first and foremost. If you and your fiancée have professional photos available, think about incorporating one on your custom flat invitation card printing. If you haven’t gotten around to photographs or detailed planning yet, keep it simple yet beautiful and focus on typography or embrace an artistic design or image. Think about time management when sending out invitation cards. After our lightning-fast turnaround, flat invitation cards do not require additional handwritten messages. Flat cards are easy to place in an envelope, which is great because you’ll be sending out a ton before your wedding day. To make this process even easier, order our custom labels printing for placing your return address on the envelopes. I was pleasantly surprised that I was able to find cheap rsvp cards that came out so beautifully. Will definitely recommend this printing company to my friends. We order formal high school graduation invitations from Printing Xpert year after year using the same design and we are never disappointed by the print quality. Our students and parents love them! How can I contact you if I have questions? Our goal is to make the creation and ordering of printing business stationery to be a simple experience. You can contact us using the customer service interface, our customer Toll-free number 1-888-681-4947. Also, you can use the Live Chat feature inside the site to talk live to an operator or leave a properly routed message for us that we will respond to usually in a matter of hours. What paper stocks do you use? What colors do you print with? All of our products are printed in full color (4 color process inks). You may check the status of your order by logging into the site and going to "My Account". From here, you may check the order status as well. We also offer a tracking link in this section to track your order with whatever carrier you have selected for shipping. What is the purpose of a PDF? A Portable Document Format (PDF) enables you view all images in low resolution. It is an industry standard computer representation of your order and is generated from the actual files we use to print your job. Can I upload my own artwork or design? Yes, you can upload a complete design or use our templates and add your own components. Uploading your own designs puts the onus on you to ensure that the images are high enough resolution to print (min 300dpi) and that you have created a bleed and have carefully checked the content to ensure that there are no overlapping items or typos on the artwork. Bleed is a Printing term used to indicate the portion of the card that will be trimmed off when cut to the final size. The purpose of a bleed is to continue a color, image, or design to the edge of the card. Our standard method is store pickup, ground, 3 days select, 2nd day air, next day saver, next day air early, next day air transportation BY UPS. Do you offer rush delivery service? Yes, we do by UPS. Can this product be made in full color? Yes, it can be printed in full color or PMS color. What type of coating options are there for this product? You can either have your choice of UV which gives off a glossy finish or you can chose a matte finish. 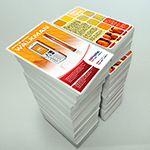 We offer 12pt card stocks. Coating or UV Coating are separate options and are not affected by this. Such coating offers better ink absorption and hence artwork definition. After the cart and shipping page you can uplaod file on my account. If you require a creative designs service that reveals your company message efficiently while choosing the accurate colors, readable content/text and images in your artwork. Our Custom Design Service will provide you an inspiring designs by our professionals. Product: Post Cards,4"X 6", 5" X 7", 5.5" X 8.5"
We also offer LOGO design service starting $75 and up. Hard copy proof is recommended to confirm the color accuracy of your artwork whenever color accuracy is important. For a nominal charge we will ship you a hard-copy proof to examine for any necessary changes or color corrections prior to printing. The listed prices above for hard-copy proofs include shipping. IMPORTANT: Requesting a hard copy proof will delay your order until you agree upon a specific proof for production. You can view an online FREE PDF proof that will allow you to double-check the Artwork, Text, Image Resolution, Color, Spellings and Fonts. The files you uploaded will be printed as the same way they are without any changes. This is the estimated time your project will be complete after you have approved your proof. Turnaround includes printing and finishing, BUT NOT shipping time. Some products may have more than one turnaround option for expedited service. Don't see what you need? or looking for bulk?